Infinity Marketing, a full-service marketing agency in the Upstate, has won 15 Service Industry Advertising (SIA) Awards for projects ranging in video production, web development and social media. 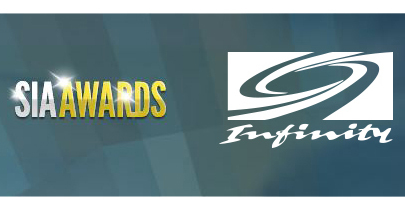 Every Infinity submission received recognition, bringing the firm’s total honors to over 100 awards within the last two years. The 16th Annual Service Industry Advertising Awards continues to recognize advertising excellence from service industry providers. More than 600 advertising agencies and over 825 institutions participated in this year’s awards program, submitting over 1,800 entries. A national panel of judges evaluated and rated entries in eight groups and 26 categories, and awarded 136 Gold Awards, 86 Silver Awards and 60 Bronze Awards. The Service Industry Advertising (SIA) Awards are the only awards to specifically recognize advertising achievements in the service industry. The SIA Awards focus on the creativity and communication accomplishments of the service industry, recognizing the best service advertisement, print communications, websites, TV Radio and electronic communications, and social media.